We act as Solicitors for Miss. 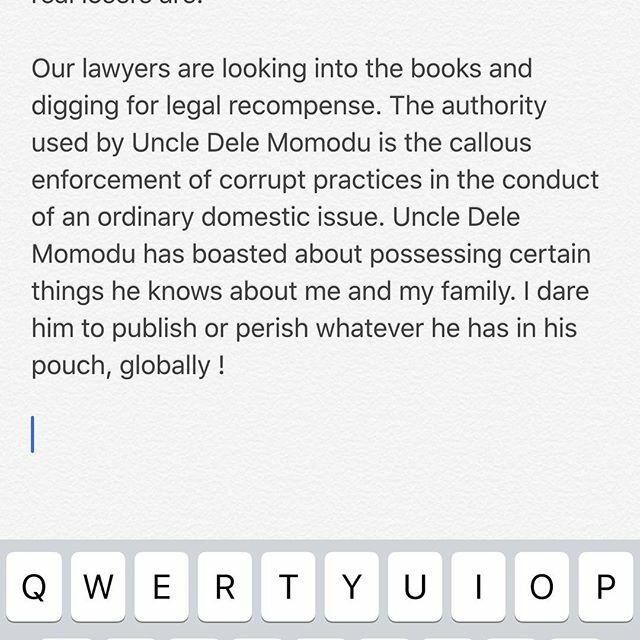 Sophia Ajibola Momodu, (hereinafter referred to as our client) whose instructions we have to forward this petition to your esteemed Agency. Our client, a 27 year old, is the biological mother of a baby girl with name, Aurora Imade Adeleke, who was born on the 14th day of May 2015. 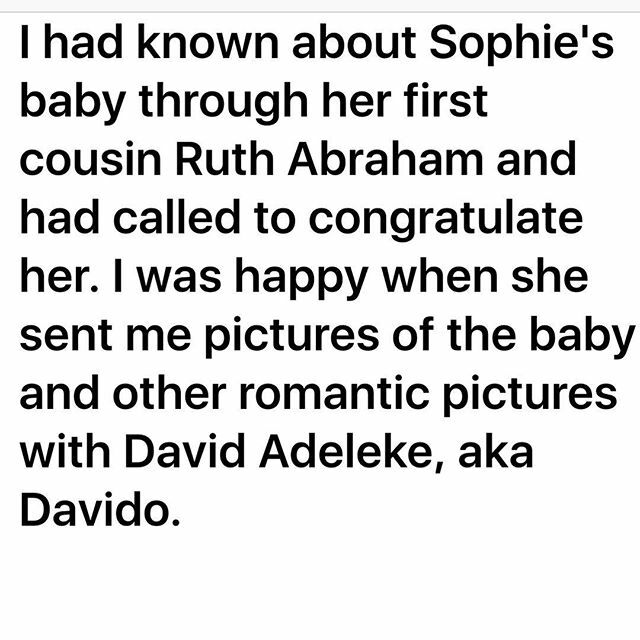 The baby’s father is Mr. David Adedeji Adeleke (aka Davido). The father and mother are unmarried. On the 11th July, 2015, our client was tricked to visit the house of Mr. David Adedeji Adeleke’s half sister – Miss Ashley Coco Adeleke’s with her baby, Imade Aurora Adeleke. After getting to the house on Baderinwa Alabi Street, Lekki Phase I, Lagos, our client’s baby was forcefully taken from her and she was thrown out of the premises with the threat that she would be decisively dealt with if she ever bothered to return there. There were armed policemen in the premises and our client’s survival instinct prevailed on her to make her leave her breast suckling baby behind, with so much pain in her heart. By daybreak on the next day, our client was again at Ashley Coco Adeleke’s house to take her baby, but she was prevented by armed policemen from gaining access into the house. She was again threatened and warned never to return for the child. 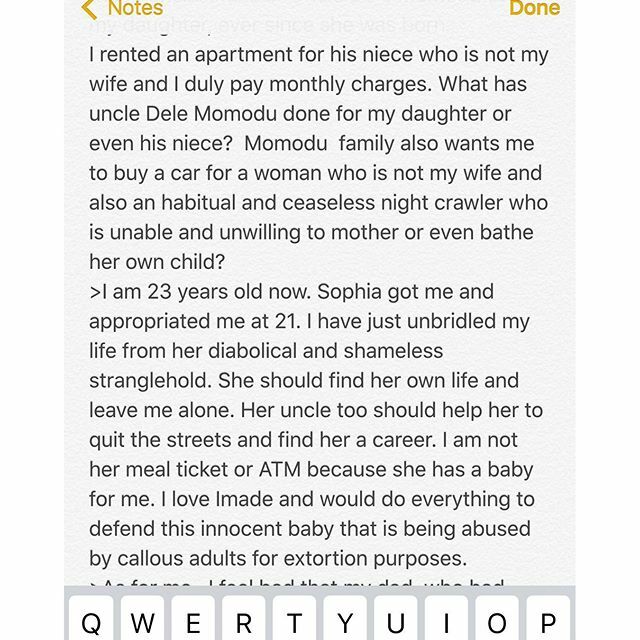 Since July 2015, our client, who has now become so disorientated, saddened and confused has been going to family members, including her cousin, Mr Dele Momodu, and other well meaning Nigerians to intervene and allow her get her baby back or at least allow her to be able to have access to and care for her daughter. 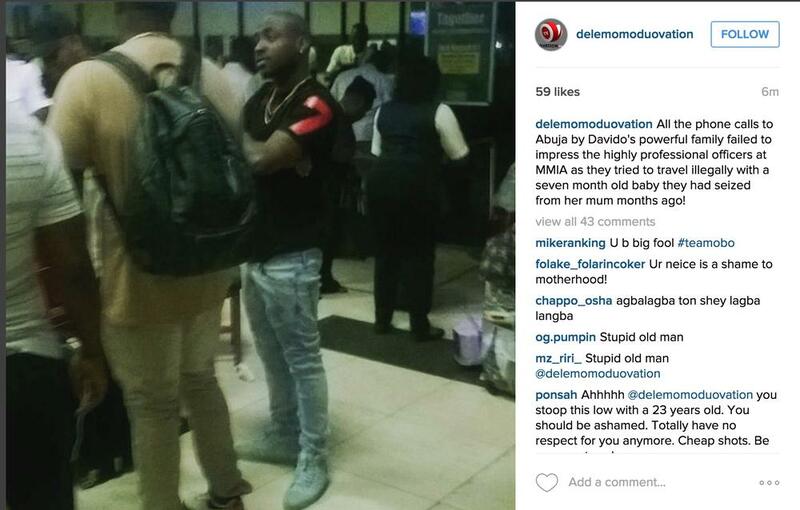 This was frustrated by Coco Adeleke, David Adeleke and their father, Mr. Adedeji Adeleke. 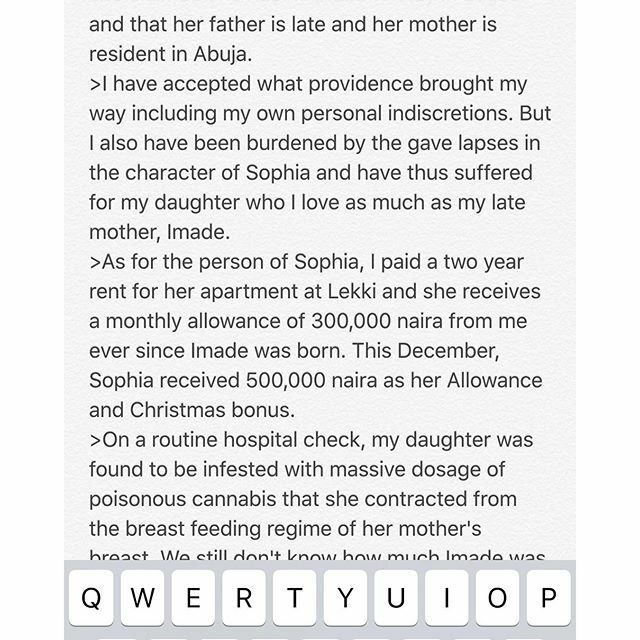 These people boasted to our client and all her family and friends that our client is a nonentity and of little substance in Nigeria. They also claim that they have the financial wherewithal and political and security clout to deal with her and her family anyhow and without any consequence with the aid of their brother and uncle, Senator Isiaka Adeleke, and other friends Mr Deji Adeleke purportedly has in government. 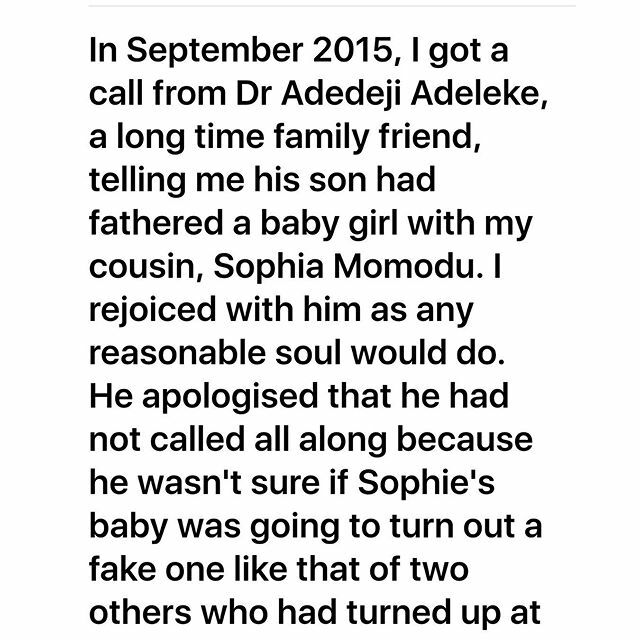 In a bid to justify their actions, Mr Deji Adeleke and his daughter, Ashley Coco Adeleke, have been spreading several malicious and unfounded allegations about our client. While the attempts at finding a peaceful and lasting solution were still ongoing, on Tuesday the 29th December 2015, Ashley Coco Adeleke and her father, Mr Deji Adeleke, tried to travel to Dubai with our client’s baby. The baby was meant to be flown out of the country with Nigerian and American passports. 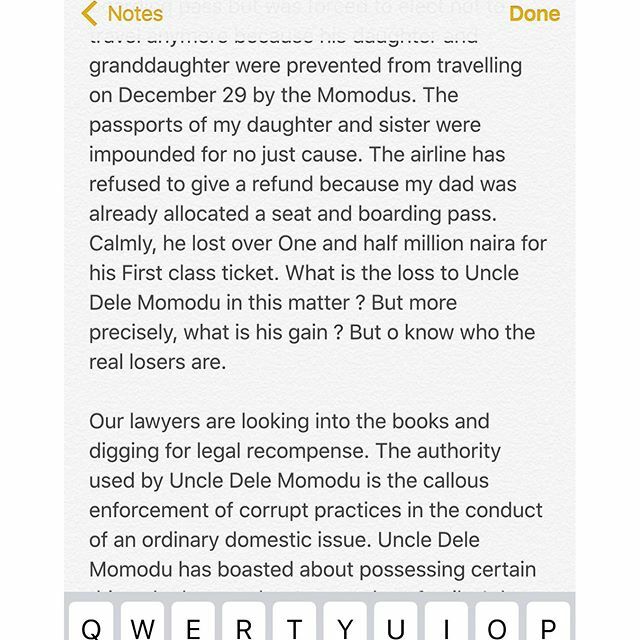 Prior to that date, our client and her cousin, Mr Dele Momodu, had gone to alert the immigration services at the Murtala Mohammed, Ikeja International airport of the likelihood of Ashley Coco Adeleke travelling with our client’s baby by pretending to be the Mother. Our client believes that her baby’s American passport was hidden and is now likely to be in possession of Mr Deji Adeleke or Ashley Coco Adeleke. 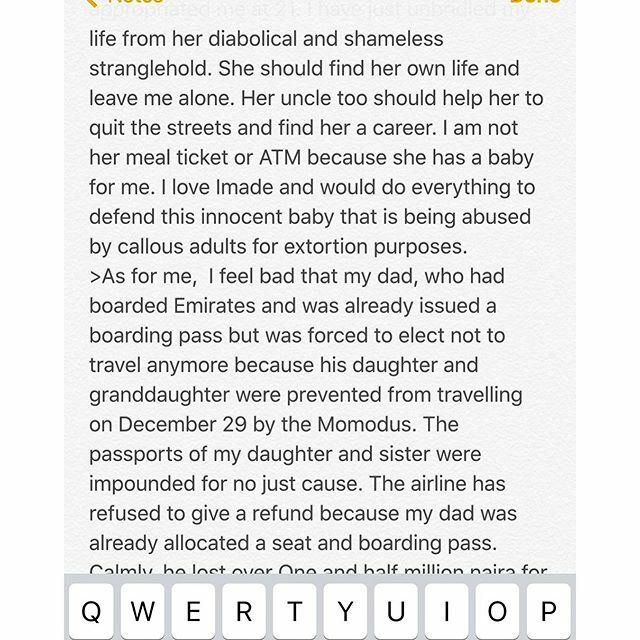 It appears that the assistance of Emirates Airline was sought as the baby’s American passport was not produced in breach of aviation regulations. Neither was a letter of authority from the mother to confirm her consent to the trip produced despite the airline being alerted. 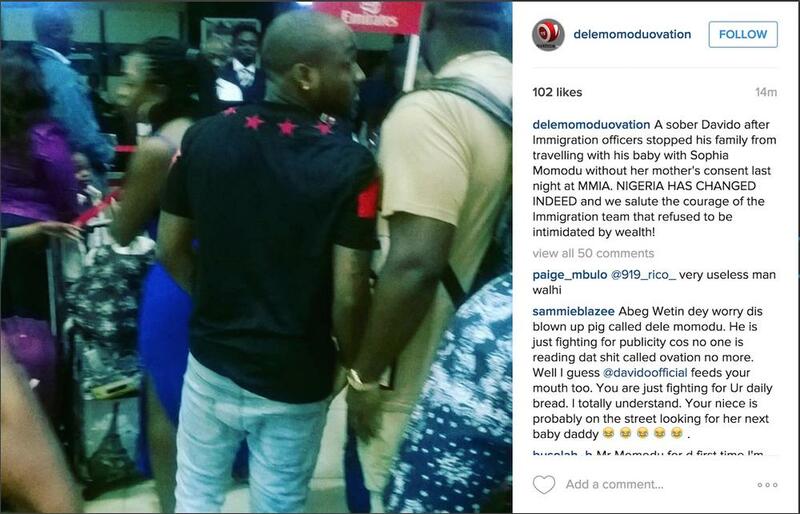 When Mrs. Modupe Mofikoya, the immigration officer who attended to the Adeleke travelling party accosted Ashley Coco Adeleke and asked for the mother of the baby, Ashley Adeleke claimed that she was the mother. Immediately, the immigration officer on duty collected her Nigerian international passport, she quickly absconded from the scene with the baby and her father, Mr Deji Adeleke, showed up shortly afterwards to try to clear his daughter’s mess. 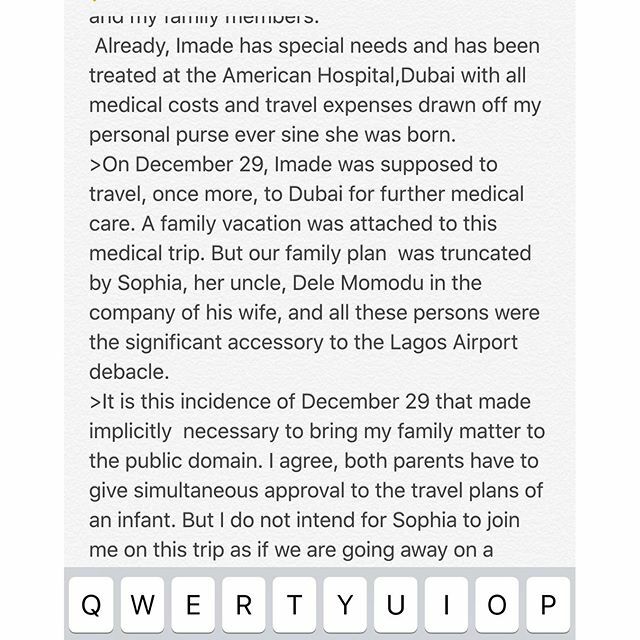 Our client with the help of her family members, including Mr Dele Momodu, determinedly resisted the attempt by Miss Ashley Coco Adeleke and her father, Mr Deji Adeleke, from taking Aurora Imade Adeleke from Lagos yesterday. Our client believes that the pair are trying to take the child to America and thus put her out of the reach of the biological mother. At the moment, Miss Ashley Coco Adeleke and our client’s daughter, Aurora Imade Adeleke are still in Lagos and two of their respective international passports are in the custody of the airport immigration services. 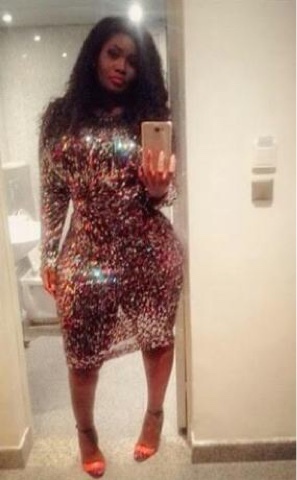 Our client’s fear now, is that Ashley Coco may use her Nigerian passport and Aurora Imade’s American passport to travel through other Nigerian or West African airports. We know that the actions of Mr Deji Adeleke and Miss Ashley Coco Adeleke contravene many provisions of the law. One is Section 13 of the Childs Right Law 2007 of Lagos State (as adapted from the Federal Act), which guarantees Aurora Imade Adeleke’s right to parental care and protection. That law also forbids separation of a child from her parents. Another is Section 24 of the same law, which also prohibits abduction of a child from the lawful custody of her parents. Neither Mr Deji Adeleke or Ms Ashley Coco Adeleke has any lawful right to the custody of Aurora Imade Adeleke. 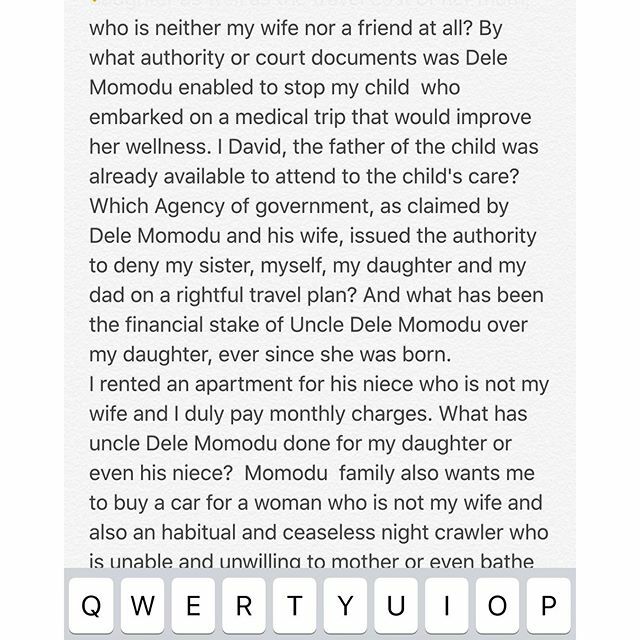 Even the unmarried father, Mr David Adedeji Adeleke, only has limited rights to the child and certainly not to the exclusion of our client, the natural mother as the Adeleke’s are trying to do. We are of the sound view that your Agency is the most viable organisation that can intervene in the plight of our client and save her from the untold trauma that she is going through in the hands of Mr Deji Adeleke and Ashley Coco Adeleke, who has her own child that she keeps with her. We have advised our client about the statutory powers of your Agency to potently investigate and enforce all the provisions of the law that deal with abduction and trafficking in persons. We urge you to use your good offices to intervene in the case of our client and protect a baby who should still be under her mother’s care from being abducted and smuggled abroad. O. AJAYI & CO./Gbolaga Ajayi Esq. 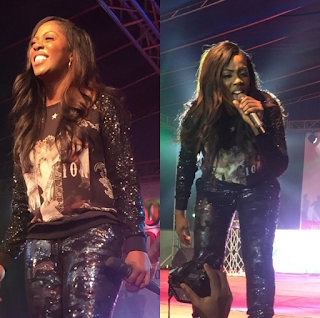 Just so you know the light brightly beamed on Tiwa savage when she performed recently in Agege!! Here is the picture! See we told you so! 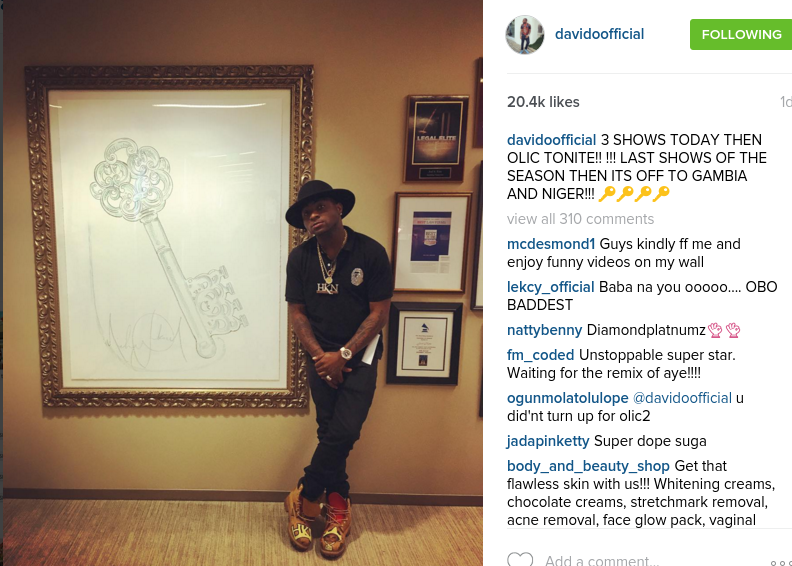 As you can see he said off to OLIC tonight but that darn Lagos Traffic messed things up! 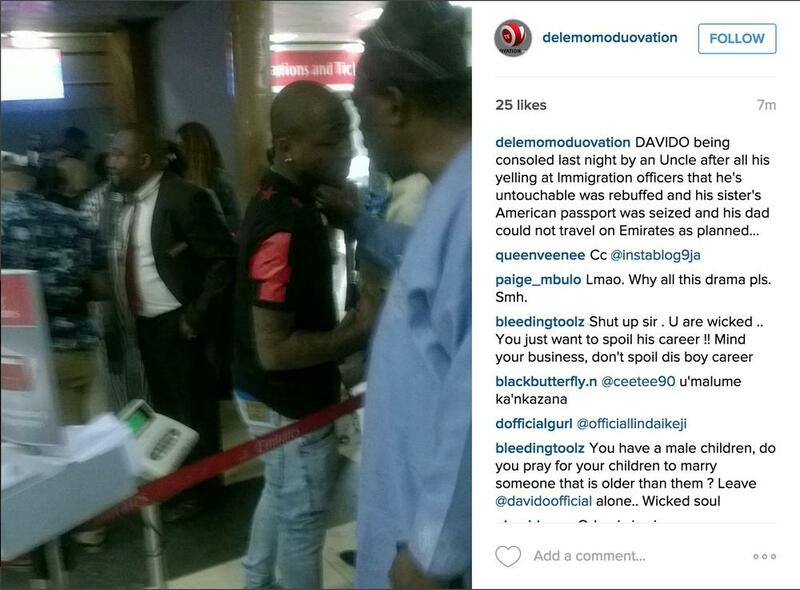 We still love you Davido!! When your highlights be poppin! In her words, how in the world does she do it! 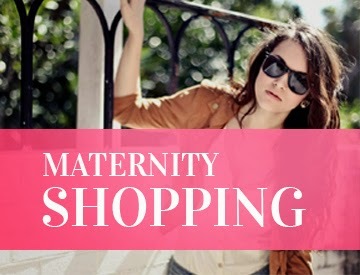 It looks so bloody easy!!! Can we just say this, Dakore is definitely a favorite Naijagal fashionista! We just got done watching "fifty" movie for the 8th time and we are still in love with her movie character! How does she do! Mom superstar wife and fashionista all wrapped in one! Amazing! One word! Slayed!! 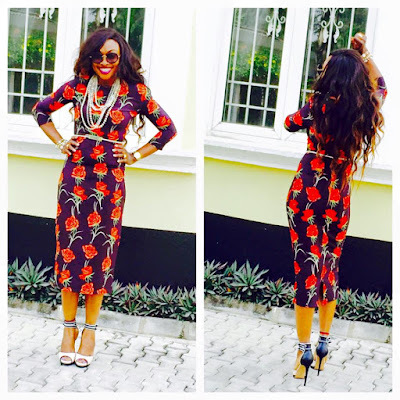 Tokemakinwa a true fashion role model for all!! @tokemakinwa she makes it look so easy and that is why we love it!! Here she is looking amazing. I just have to say there's no one that looks as Great as she does !!! Or what do you say?? 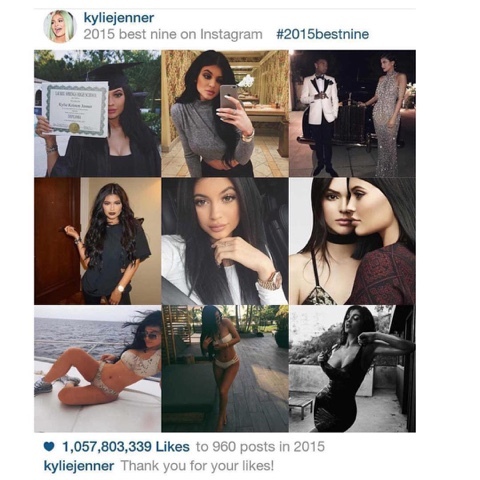 Kylie received 1 billion likes and Instagram in 2015 and she wants you to know about it!! How Adorable Ice T's girls Coco and baby girl look great! Kandi looks amazing! Can you believe she was pregnant in this video? Edo born Viktoh rules the airwaves with solid rap lyrics! 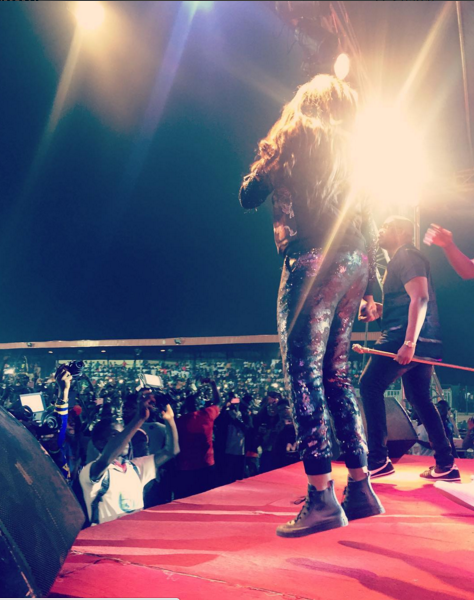 Olamide's YBNL label is ruling the Nigerian airwaves and why not? With hot lyrics like "I like KFC girls not MR BIGS!" 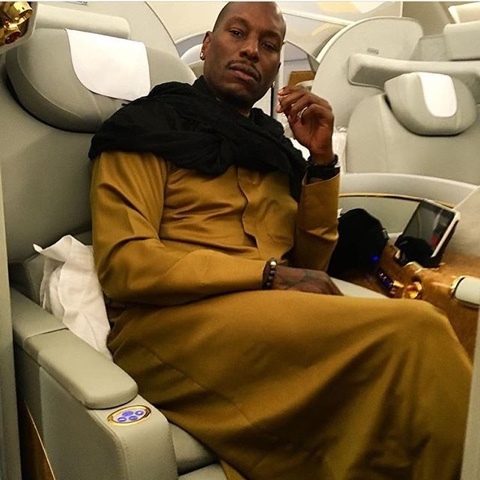 Is Tyrese off to Dubai? Sure looks like it! Maybe just maybe he would stop in Nigeria what do you think?? Say what? 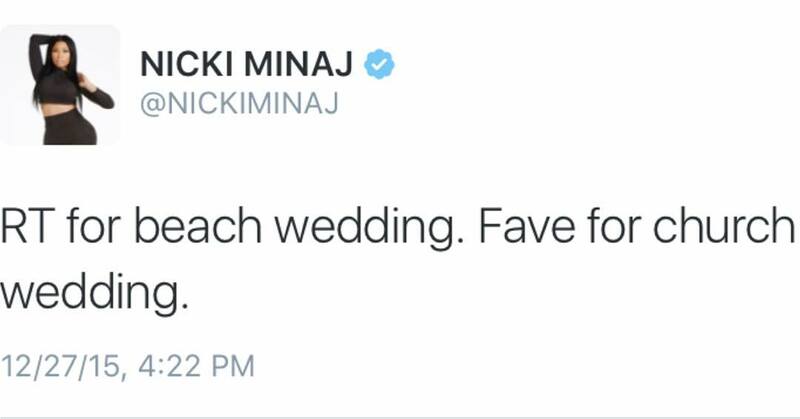 Is Nicky Minaj making wedding plans? From the pic below we sure think so! Twitter thinks so too! House of Windows in Lagos simply rocks! Naijagals you have to head over to House of windows because they have amazing clothes. Rock on House of windows and thanks for making Naijagals look solid!! We love House of windows!! Happy Holidays! 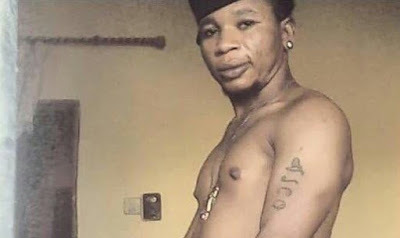 Okay so Vic O decided to share this photo on instagram! Got to give it to this cat! He really wants to stay relevant! After party anyone?? Omg!! 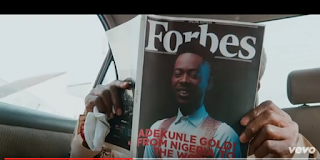 Adekunle Gold's new song is Naijagal's guilty pleasure no lie!! I love this track!! Do you? Omg!!! This is the song of the year! Yay or Nay??? 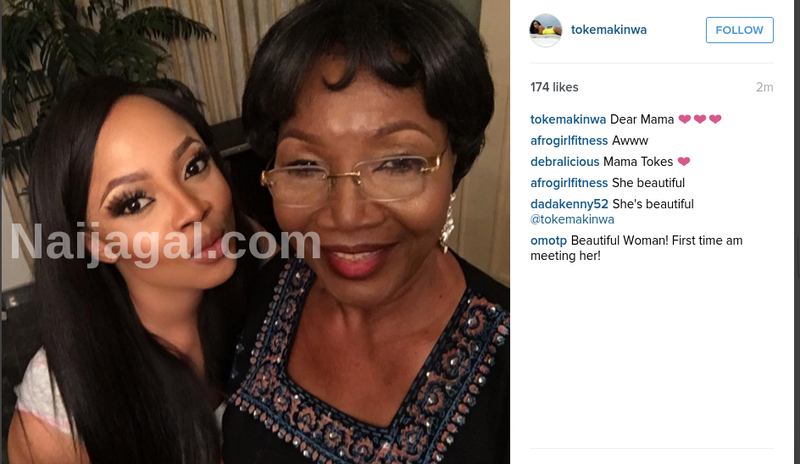 Toke Makinwa's mom is so gorgeous!! #tokemakinwa #naijagal Check us out on instagram!! 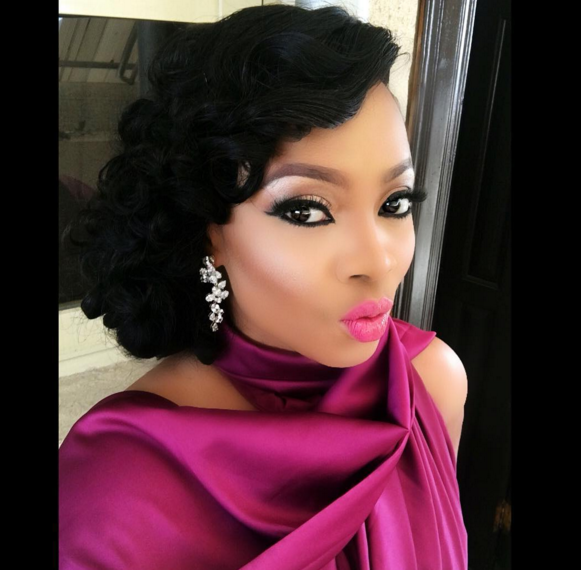 Naijagal Toke Makinwa is always on point!!! Why oh why?? Vic O please spare us!! !